My son is leaving town after a nice visit home, and even though he has moved out, I still have a need to send him off with his favorite cookies. He says they are so hearty he eats them for breakfast. I like the way he is thinking; it helps me feel virtuous when I go for seconds. One of the key ingredients in this recipe is ginger, a spice that imparts heat and sweet at the same time. Usually, I use ground ginger, but since I had fresh ginger root in the fridge, I decided to grate it and see how it affected the taste. The change was mind-boggling. 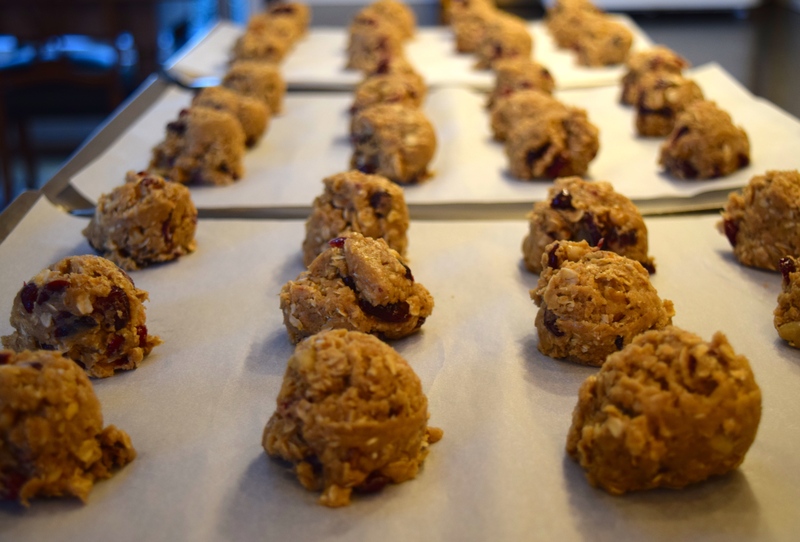 Between the ginger and the sorghum, this is one flavorful cookie. Line three baking pans with parchment paper, or grease pan lightly with canola oil. 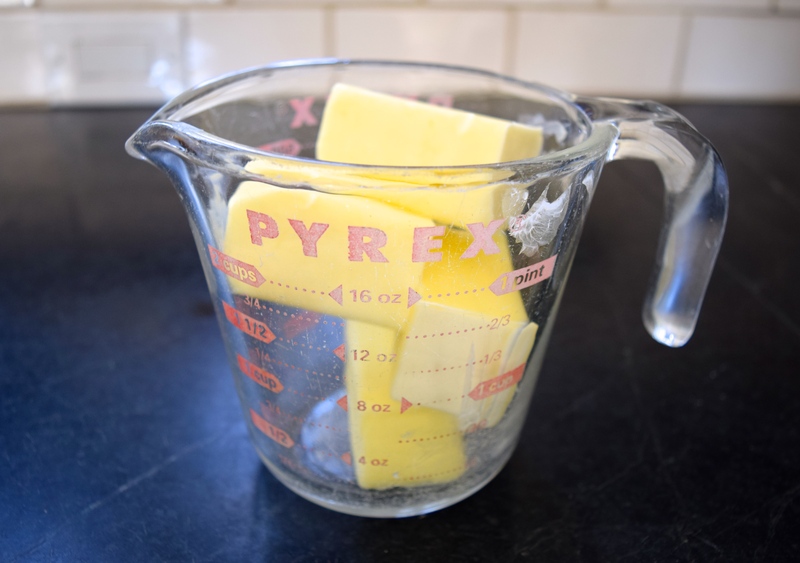 To melt butter: place butter in a Pyrex liquid measuring cup. Pyrex measures are made of tempered glass and won’t burst when exposed to extremes in temperature. 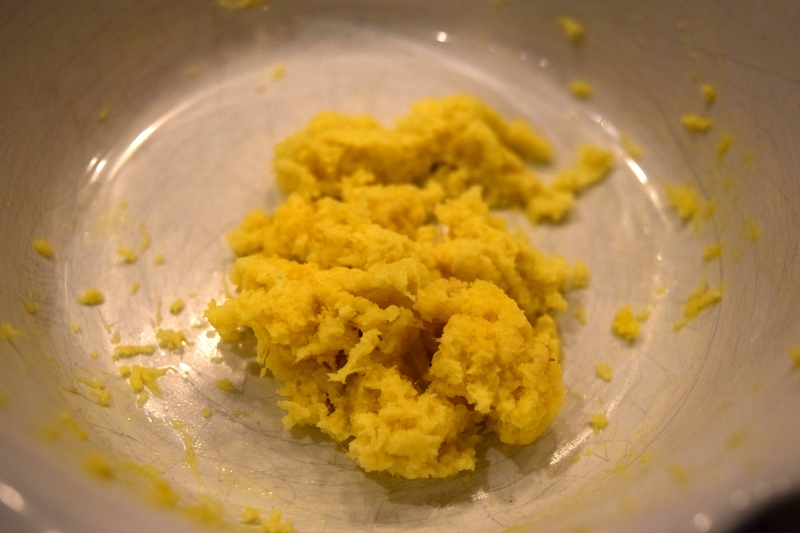 Melt butter in the microwave for 20-30 seconds. 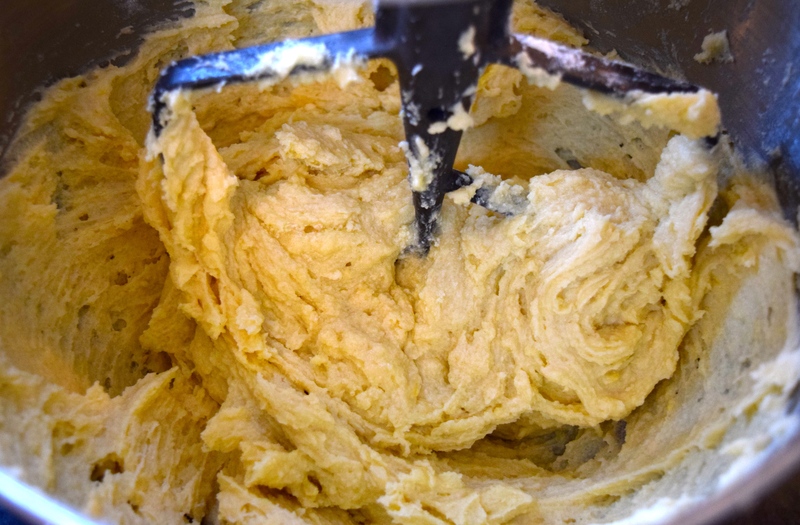 If little flecks of butter remain after melting, that is okay; better to let them melt on their own than risk overheating and causing the butter to separate into fat, water, and milk solids. 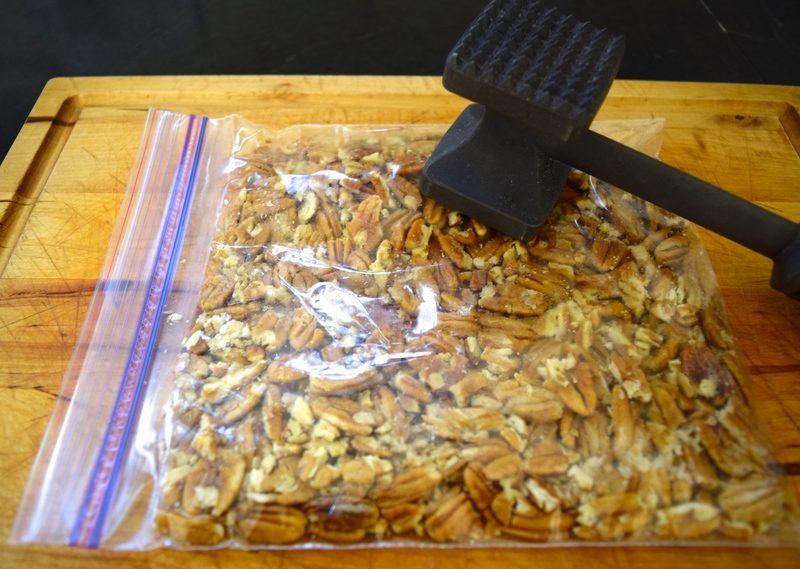 To prepare chopped nuts*: I won’t dirty the food processor for just one cup of nuts, so here is what I do instead: place the measured amount of nuts in a baggie and use a meat mallet to crush them into small pieces. *NEVER pound directly onto a granite or a soapstone surface! You could crack the countertop. Always pound on a wooden board placed on top of the counter. 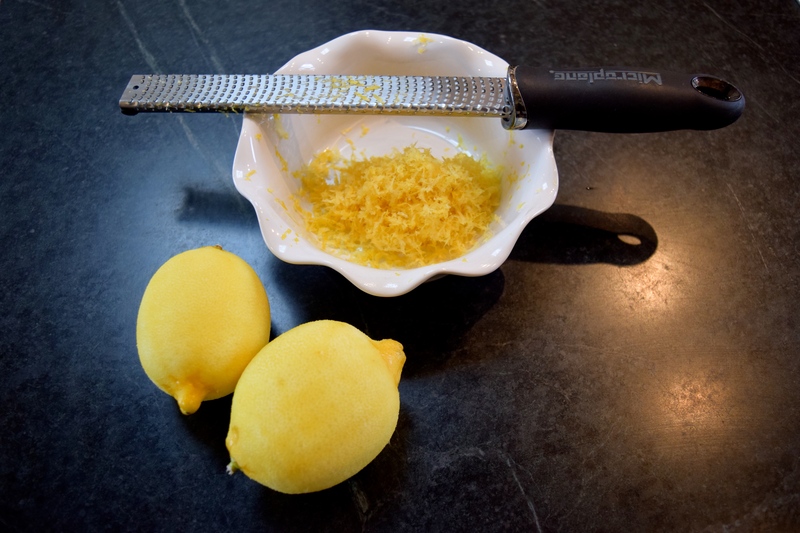 To grate fresh ginger: As a general rule of thumb, when substituting fresh spices for dried, triple the amount of dried spice called for in the recipe. 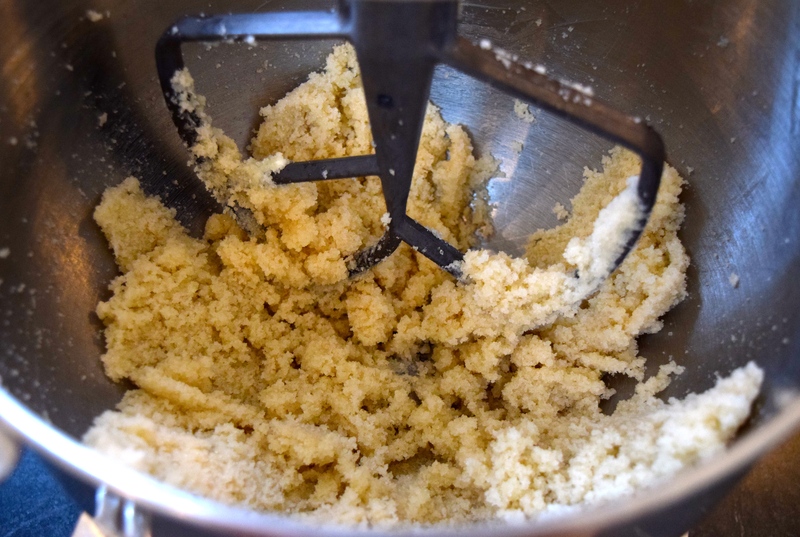 This recipe called for 1½ teaspoons of ground ginger, so I grated 1½ tablespoons instead. Know that 3 teaspoons = 1 tablespoon. 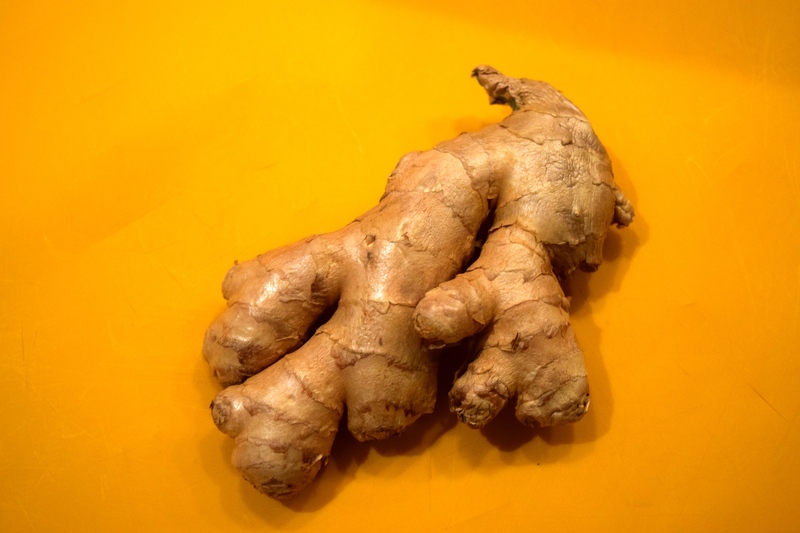 Also, you can store unpeeled ginger root in a baggie in the freezer. First, peel the ginger root and then grate. I used a fine-holed Microplane grater. The ground ginger will be very moist. 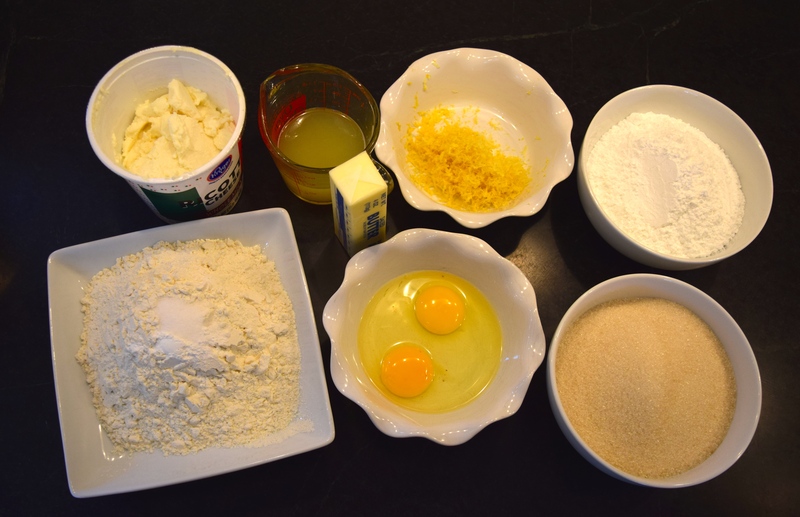 To prepare eggs for recipes: Always break eggs in a separate bowl before adding to the batter. You need to inspect them for broken shells or for a bad, foul-smelling egg. 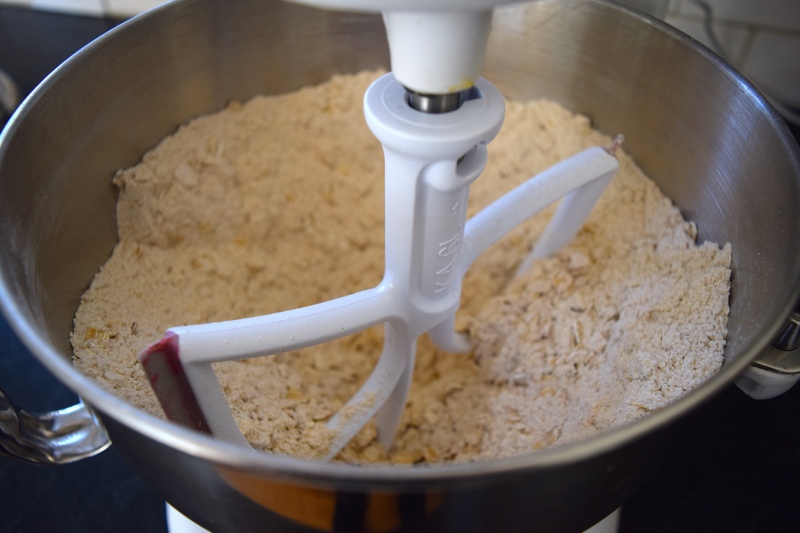 Into your large mixing bowl add the dry ingredients: the flours, baking soda, salt, sugar, ginger, and oats. 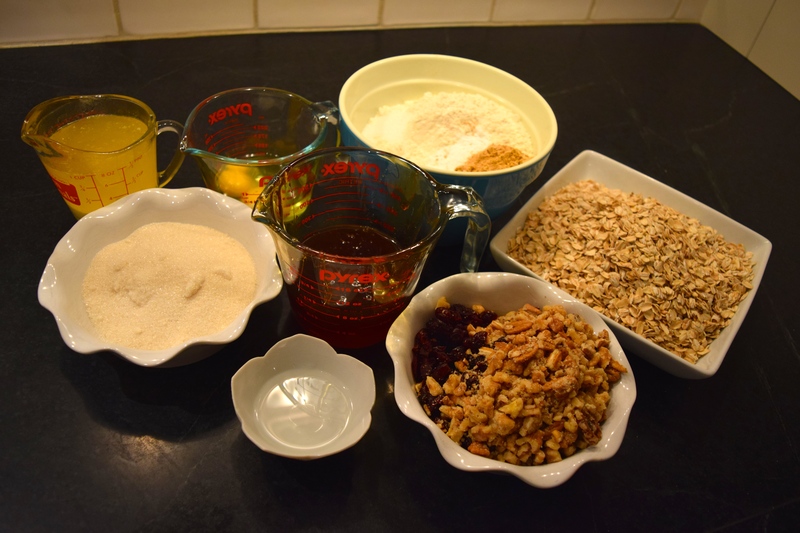 For a refresher course on how to properly measure dry ingredients, check out my post, Home Ec 101. As an FYI, I spooned the flour into the measuring cup and then leveled it off with a knife (or my finger!). 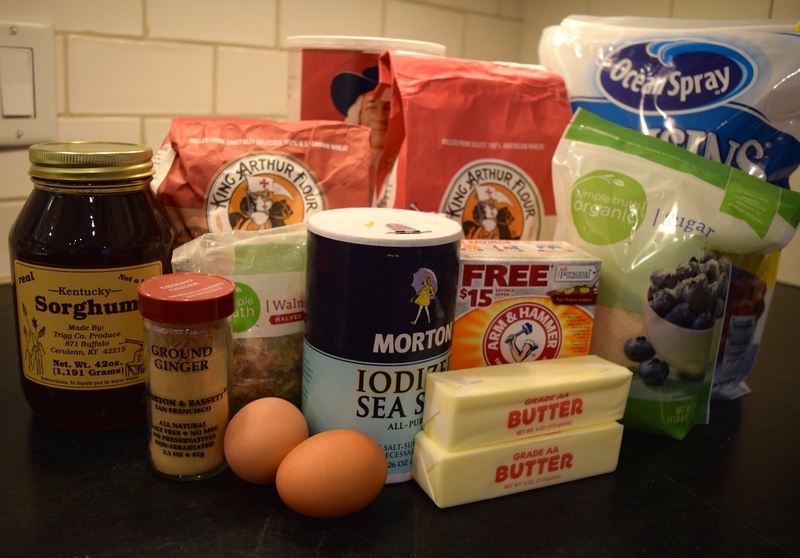 If you scoop the measuring cup directly into the flour sack, it packs the flour into the cup. 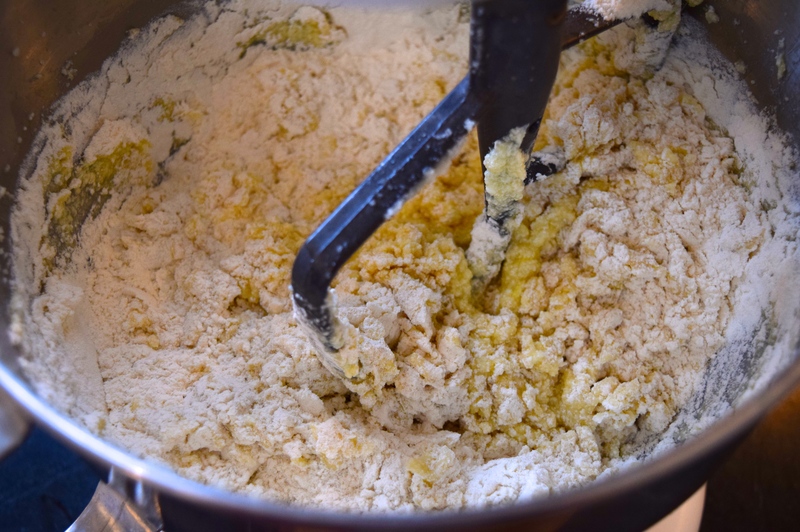 If you do that four times, for the required four cups of flour, you could add as much as one full cup of flour to the recipe. 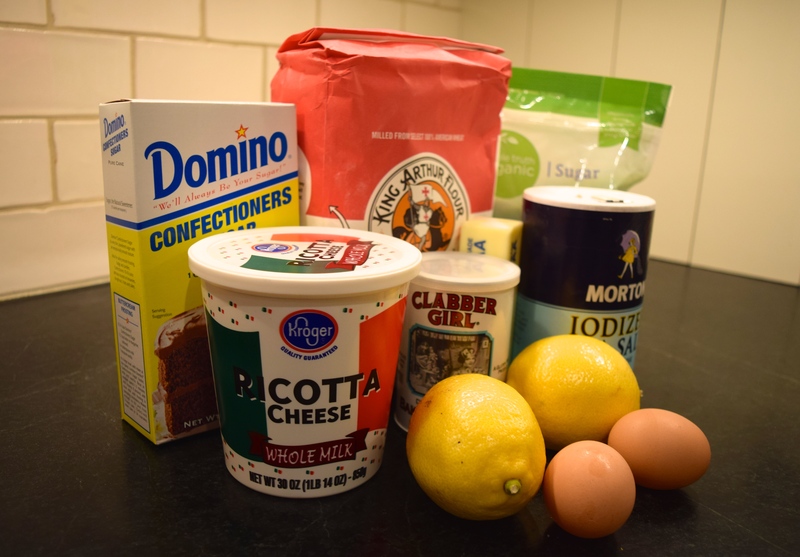 Mix on slow speed for about 30 seconds. 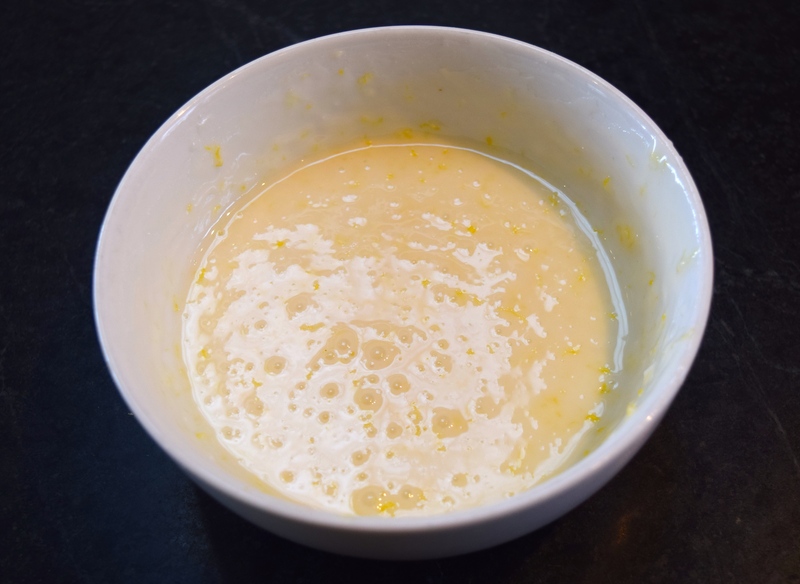 Add the liquids: sorghum, melted butter, water, and eggs, and mix on low-medium speed for about one minute. 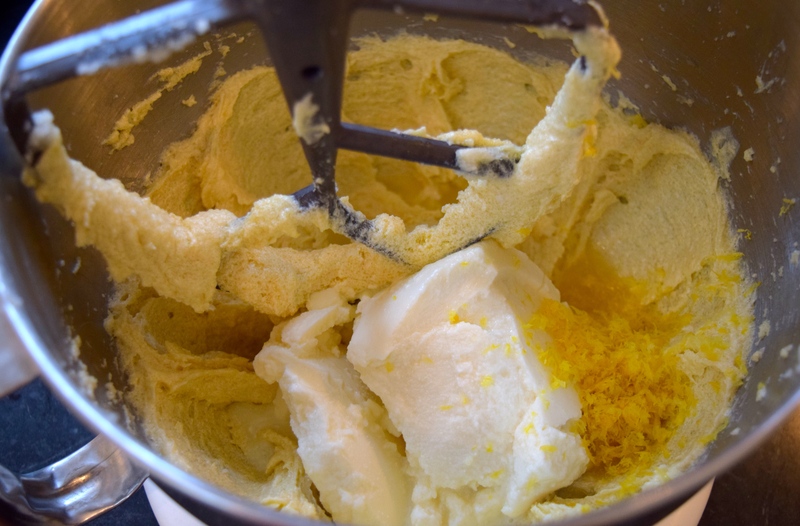 Turn the machine off and use a spatula to scrape the sides of the bowl. 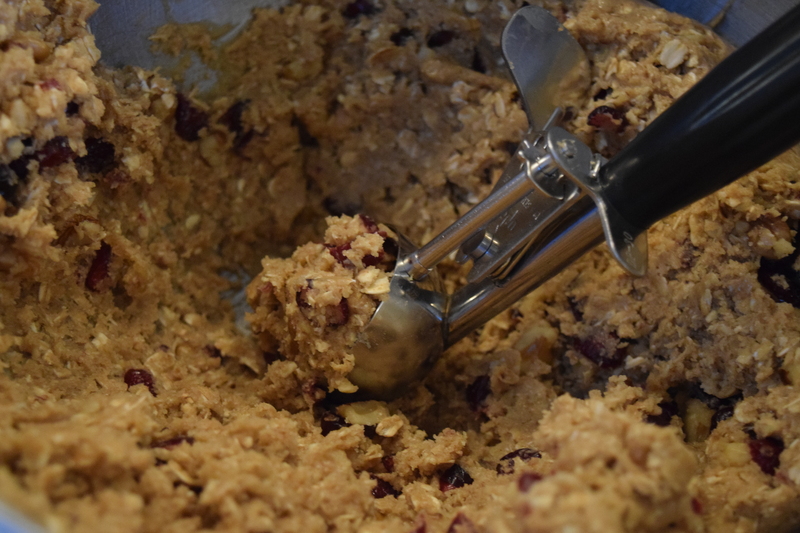 Add the Craisins and nuts and mix on slow speed for another 15 seconds. 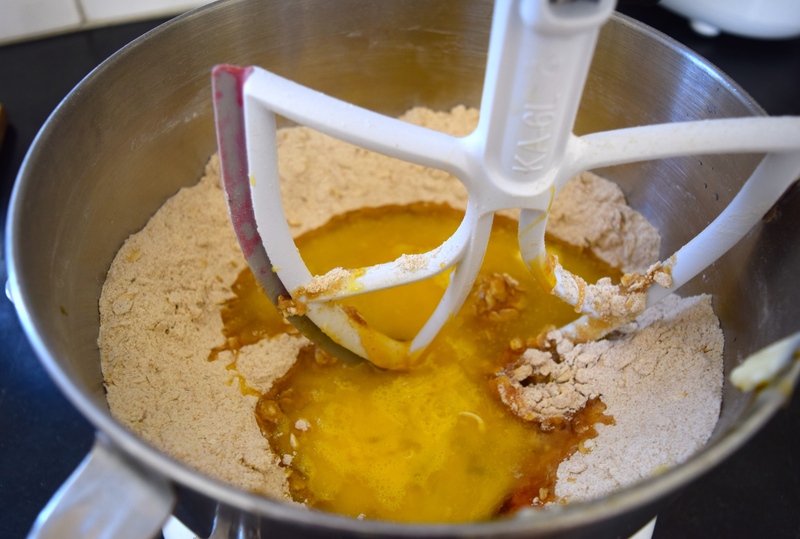 Over-mixing the flour could result in tough cookies. 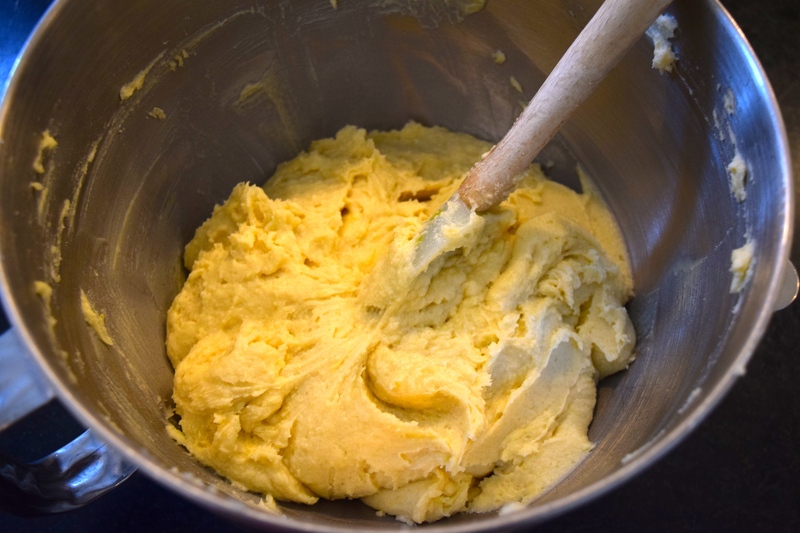 Use a tablespoon or a cookie scoop to make golf ball-sized portions of dough. 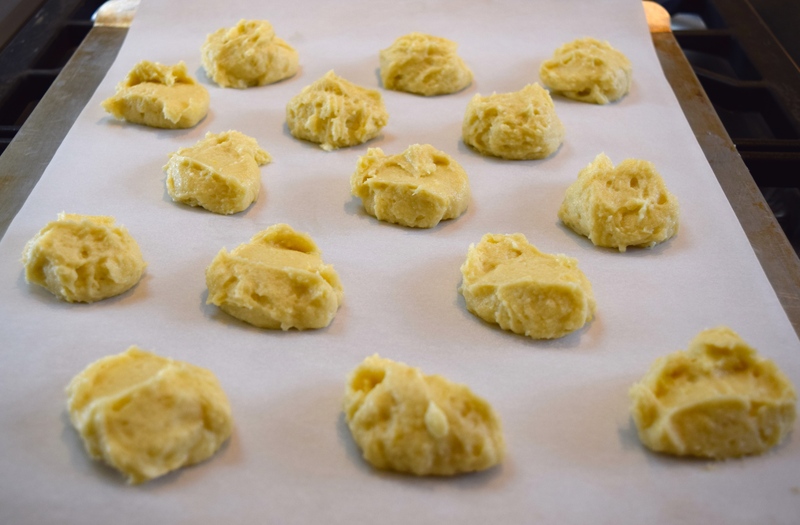 Place 12 balls of dough on each cookie sheet. 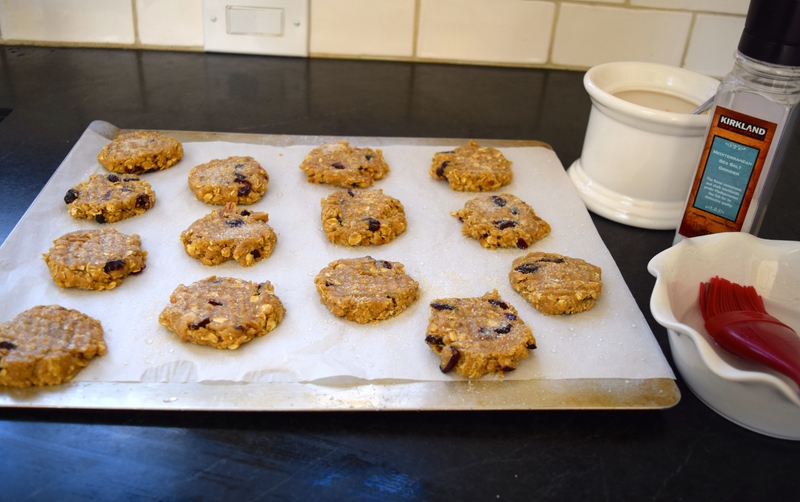 You could make these cookies smaller and get more cookies, but when I tried this, the smaller cookies were too crunchy and lost their soft, chewy texture, which is what makes them so special. Press the balls flat with a fork in two directions to create a criss-cross pattern. 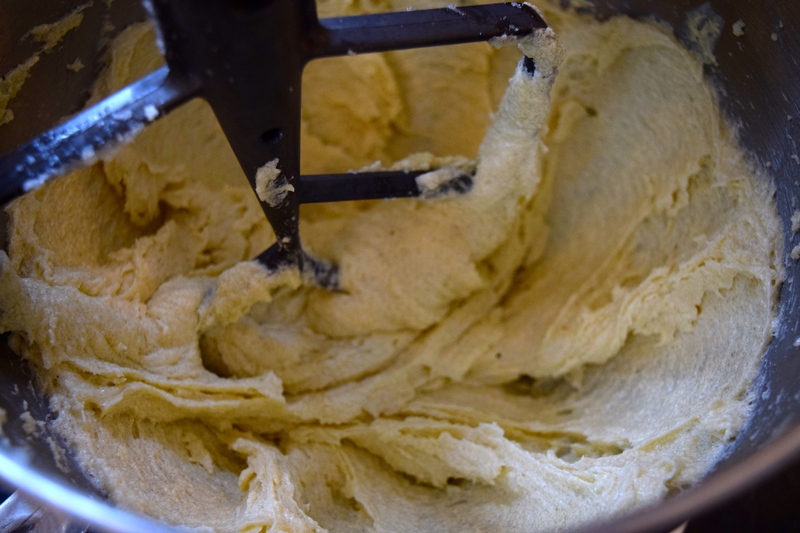 Using a pastry brush, brush the tops of each cookie lightly with water followed by a sprinkle of sugar and a touch of salt. 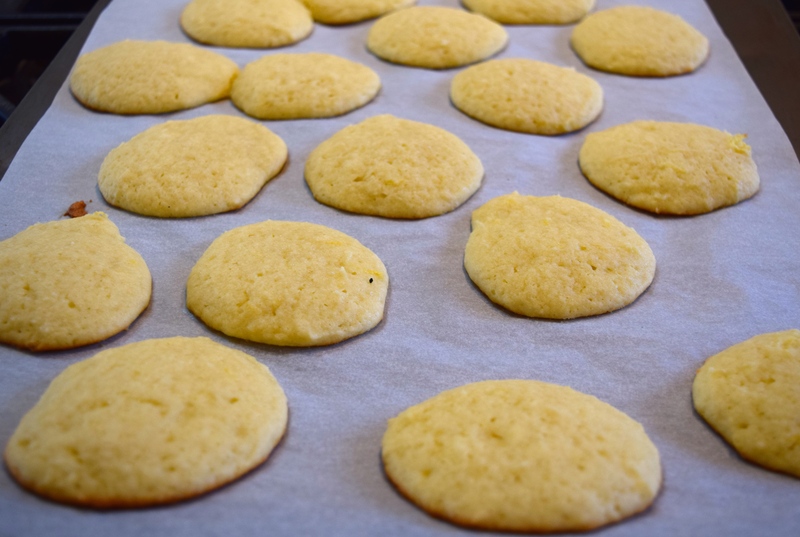 Bake cookies for 8 minutes and then rotate cookie sheets on oven racks. Set a timer! Cook for about 7 more minutes, or until lightly browned. Cooking time may vary. Best to err on the side of “I think they’re ready,” than “Ugh, too hard” when determining doneness. Place cookies on wire racks to cool. Cookies will harden as they cool.